Welcome, my name is David Lane and I am a mind body practitioner with over 10 years of experience. Using a compassionate, personable but no-nonsense approach I have helped many people over the years with many issues. Once principally utilising Kinesiology, I have added The Spiral and Emotional Clearing to my toolkit to continue to assist my clients attain wonderful outcomes. I have always been determined to have people be empowered to progress themselves on their journey to authenticity and achievement, so I am now excited to be able to teach Self Clearing to all who would learn it. The Spiral is an extraordinarily powerful process. It’s been described as seven years of personal growth in seven weeks. You will shed a vast amount of emotional baggage and behavioural patterning from this lifetime and from generations of inherited conditioning. It permanently raises your level of consciousness. You are no longer so easily triggered by relationship dynamics, wealth, self worth, self expression and sexuality. You are more freely able to move through the world. You are far more authentic expression of who you truly are. You love yourself more deeply. You love your work, your life and others more deeply. You get out of your own way and begin to create the life you want without having to try so hard. In The Spiral your *relationship* to 22 of the most powerful emotional triggers for the human psyche is cleared and therefore the anchors to the behavioural patterns that you run in reaction to the presence of that emotion. 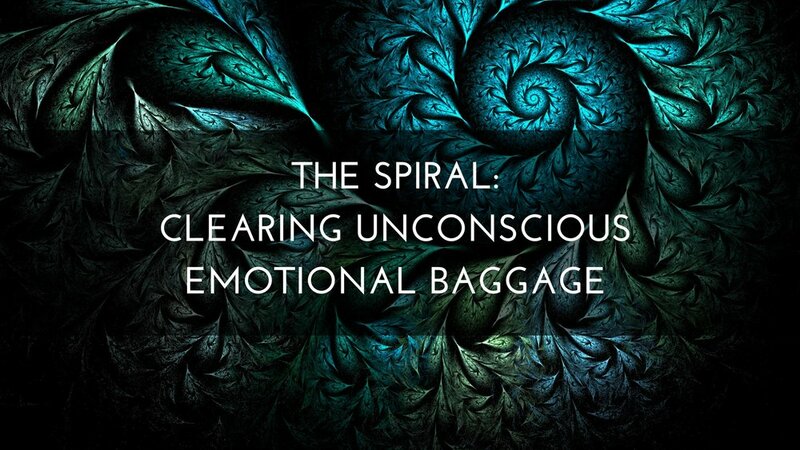 After the Spiral you will still be able to feel these emotions, but without the rush of other emotions that have also been anchored to the incomplete expression of it and the resulting automatic behavioural responses. It means you are once again more able to choose your response when this emotion is triggered, rather than reacting. Imagine the power that gives you to respond to the “terror” barrier that arises when you set challenging goals. Imagine what that then means for the magnitude of the goals you might set… and achieve. When your relationships to Shame, Guilt, Fear and Paralysed Will have been cleared, you will be amazed at how easily you take the actions needed to achieve your goals. This technique eclipses the tools I have been using over the past 10 years in both power and simplicity. 7 Spiral sessions. Usually in a weekly cadence but that is not mandatory. It can be spread out longer if that is needed; it just takes longer to reap the full benefits.Sessions are 60mins long and are completed over Skype (or similar), phone, or in person. An extra post Spiral completion integration session.This is a free-format session to aid you shifting through the changes and growth as quickly and as ecologically as possible. There is some real magick that has occurred in this session. Access to a closed Facebook group comprised only of people going through, or that have been through the Spiral.This is an open forum to ask questions, receive support and see what is possible. In between session support via email and SMS. Here’s a brief description of the each of the 7 levels of The Spiral, the theme and the clears for each. Level 1 (Deserving) : Clears Shame, Guilt and Dogma. Level 2 (Creativity) : Clears Fear, Guilt and Paralysed Will. Level 6 (Vision) : Clears Truth, Trust and Receptivity. It’s a deeply powerful process but you need to be ready to take it on. Click here to leave your contact details if to talk to me about gifting yourself The Spiral. These sessions are one-on-one and can be performed in person, via Skype (or similar) or over the phone. Using Emotional Clearing techniques, this is a specific protocol to clear your way to creating what you would like to have. You create by using the Manifesting Current: an energy flow moving from spirit to physical. Something forms first in your consciousness as an idea, you then see it in your mind’s eye, you then talk about it, state that you will make it happen, you then organise yourself around it, create a plan and dig into your willpower to execute the plan, you get the feels for what it will be like when it is created and you take the actions required. These steps can be logically related to the psycho-emotional-somatic functions of your 7 major chakras. If these are blocked in any way your ability to create and manifest is hampered accordingly. Blocked in the Brow Chakra? Then you can’t get a clear vision of what you want to create. Blocked in the Root Chakra? Then you can’t take the physical actions required to make it happen; and so on. By working through the chakras following the flow of the manifesting current (crown to root); a Manifestation Clearing session identifies and clears all the emotional resistances, concomitant beliefs and behavioural patterns you have in relationship to a specific, well defined goal, outcome or concept. The result is a super-charging of your ability create in a way that is aligned with your core, without YOU sabotaging it or holding yourself back. Kinesiology is one of the most comprehensive and powerful mind-body modalities in the world today. Muscle monitoring used by a well-trained practitioner with good intuition and empathy can be used to efficiently and effectively identify what is the CORE stressor (or stressors) underlying the issues you may present with. Muscle testing is an interface into the Unconscious Mind: that part of us that knows all of what has occurred to us and what we believe and feel about it. It knows what is happening anywhere and everywhere in your body and why. Which is why it not only helps the Kinesiologist identify what is the cause of your issues, it also guides them in what needs to be done to reach resolution and healing in each case. By resolving the root of the problem permanent changes are created. My Kinesiology training draws on Traditional Chinese Medicine theory, Vedic theory, Counselling, Eastern and Western nutrition models, western Anatomy & Physiology , Chiropractic models and more. Click here to contact me for bookings. Self -Clearing Workshop – Learn a easy, fast way to shift your emotional state by Yourself! You will take a huge step UP into working with the world using self respons-ability and into creating the life you want to have. You can stop being a victim of your life circumstances. Self Clearing is the creation of my colleague Dane Tomas and is an easy-to-use kinesiology-based tool for making fast and permanent shifts to your emotional state, yourself. It is simple, accessible and effective. There are free videos online from which you can learn Self Clearing, but for me embodiment is a key to successful learning. In this workshop I will take you through a face-to-face, fully embodied learning of the techniques taught in the free Self Clearing video and the book. A technique you can use for the rest of your life. “So yesterday I did David Lane’s Self Clearing Workshop. Regular Chakra Clearing Is The Simplest Way to Feel Great and Evolve. What is Chakra Clearing? Put simply, it means going through your chakras one by one and by using kinesiology style muscle-testing to identify the unexpressed emotions that are impeding it from functioning optimally (i.e. ‘blocking’ it); then using a very simple combination of breath, sound and acupressure to free the stuck life force. Rinse and repeat until that chakra is as clear as you can get it and then move to the next! It creates an immediately tangible sense of stillness, wellbeing and joy in you. Doing it on a regular, ongoing basis strengthens and raises the vibration of your energy body. 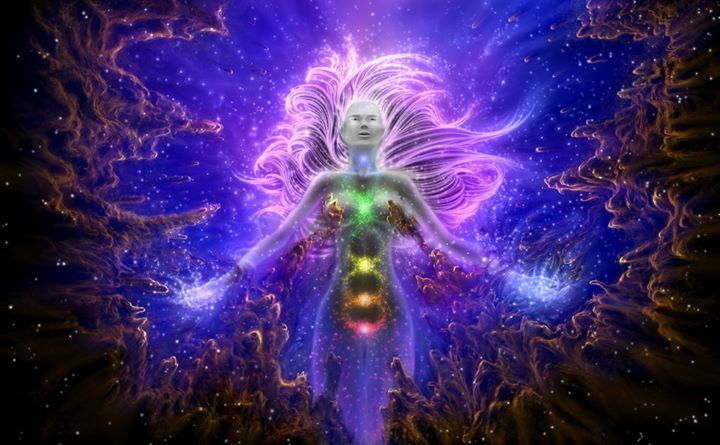 You become able to sense more deeply into your field of consciousness, your body and your chakras. You develop a cleaner relationship with your emotions. You dissolve automatic stress driven behaviours. Stuff doesn’t ‘stick’ to you like it use to because you no longer have a resonant vibration with it. Your relationships with others improve (some will drop away… and for some relationships that IS an improvement!) as you contribute less and less to the low vibes in the dynamic. You accelerate the integration of any other ‘work’ you are doing. All of this means that the more people that are regularly doing this one simple thing the better our world will be, right? So that got me to wondering, how else can I get this to more people on a regular basis? The answer is a weekly Chakra Clearing Circle. Using the sacred geometry of the circle and group intention to create power upgrades, each week I will take the entire group through a Chakra Clearing Balance. No session will be the same as each week the collective of the different experiences of the different attendees will bring a different flavour of what needs to be cleared. You need no prior expertise or experience as I will guide each and everyone through each emotion clear. The session will conclude with a guided meditation, time permitting. I run these sessions in person at Qi and also in webinar format. Check my Truepoint Facebook page www.facebook.com/TruepointKinesiology/ for the upcoming Chakra Clearing Circles!